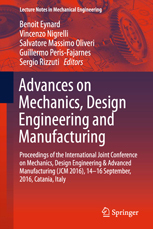 The JCM 2016 originates as the 8th Joint Conference of ADM (Associazione Nazionale Disegno e Metodi dell’Ingegneria Industriale) INGEGRAF (Asociación Española de Ingeniería Gráfica) and AIP - PRIMECA (Ateliers Inter-établissements de Productique - Pôles de Ressources Informatiques pour la MECAnique). It invites all researchers, industry experts in the domain of "Interactive and Integrated Design and Manufacturing for Innovation" to disseminate their major and recent results, studies, implementations, tools and techniques at an international level. Dear University Chancellor, Directors, Presidents, illustrious colleagues, ladies and gentlemen good morning, it is a great honour for me to inaugurate the International Joint Conference on Mechanics, Design Engineering and Advanced Manufacturing, over the next three days Catania will host some renowned researchers from all over Europe and beyond. I'm particularly reminded that in 1976, exactly 40 years ago, many of us had not yet graduated, a young ADM was enjoying his first conference at the University of Catania in part due to enthusiastic organisation by Prof. Santo Licciardello who was a dear friend and colleague. Today, being international the conference has become more important for which many thanks go to the Presidents of the AIP Primeca, INGEGRAF and ADM, who chose Catania for the conference. Lets hope we are up to the challenge! For our part we wanted to honour the proceedings by having the opening ceremony in this Benedictine monastery, one of the most important monuments in my city. I would like to thank the Director of the Department of Humanities which is hosting us on this first day of the conference. We will be focussing on the latest advances in design methods and tools in industrial engineering which have made such innovative changes recently in industrial processes. We should not forget that we are proud to consider ourselves the ancestors of a certain Leonardo da Vinci, universally considered the inventor of modern technical drawing. It is also very encouraging to see growing cooperation between Academia and Industry. 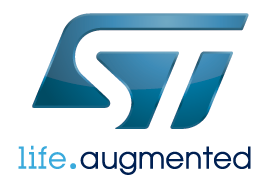 There was a prompt and enthusiastic response from all our sponsors: Alfa Romeo, Altair, EOS, Haption, MSC Software, Pirelli, Softech-PTC, ST Microelectronics, all of whom are from Industry, and without whom this conference would never have happened. I cannot leave you without acknowledging all the people whose dedication and hard work have contributed so much to the success of this venture. First and foremost, I would like to commend the members of the scientific committee and their untiring Program chair Sergio Rizzuti for performing the herculean task of selection and evaluation with admirable dedication, efficiency and rigour. I would like to thank the members of the organizing committee and the Conference secretariat Francesca Campagna, whose efforts went far beyond the call of duty, and special mention goes to Gaetano Sequenzia, who in recent months has been much more than my right-hand man having taken on much of the organisation himself. Great thanks too goes to the Keynote Speakers Francesco Caizzone from ST Microelectronics Catania, Antonio Gloria from CNR Napoli, Frederic Noel from University of Grenoble, Emmanuel Duc from University of Clermont and Pierangelo Misani from Pirelli, who accepted our invitation enthusiastically. Particular thanks go to the Chancellor Giacomo Pignataro for providing the support of the University of Catania and for having contributed to the success of our conference. Finally, thanks to everyone here – conference success is measured by attendance – and to our number many more will arrive tomorrow – thanks especially to those researchers who are presenting their findings at our conference. Welcome all and have a great experience!